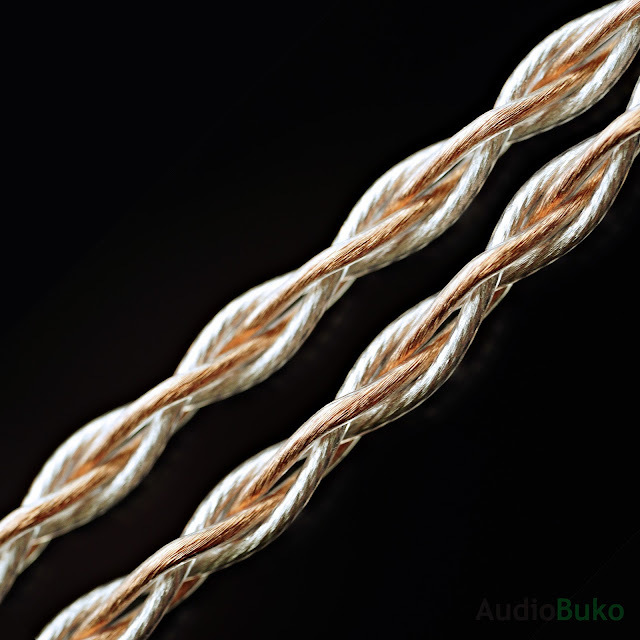 Stiks Audio has been around since 2014 doing repairs and re-cabling as an online service, but it was when they joined a local audio group (HEEP) in 2016 that they started to provide more services for audio enthusiasts, like modifications, custom cables and interconnects. With the growing audio scene here and around the world, Stiks has begun to expand their custom cable services with various solutions for almost every head gear you can find in the market. If you'd like to inquire on getting a cable done, you can contact them at their Facebook page Stiks Audio at https://www.facebook.com/stiksaudioph/ and note that they can service orders internationally as well as locally. Unboxing: Their custom cable arrived via mail in a simple sealed plastic bag which contained the soft leatherette pouch for the cable and the cable itself. There was no branding and thus the whole package looks simple and clean, I was told that they are in the process of getting their brand on the products they offer as well as the packaging. 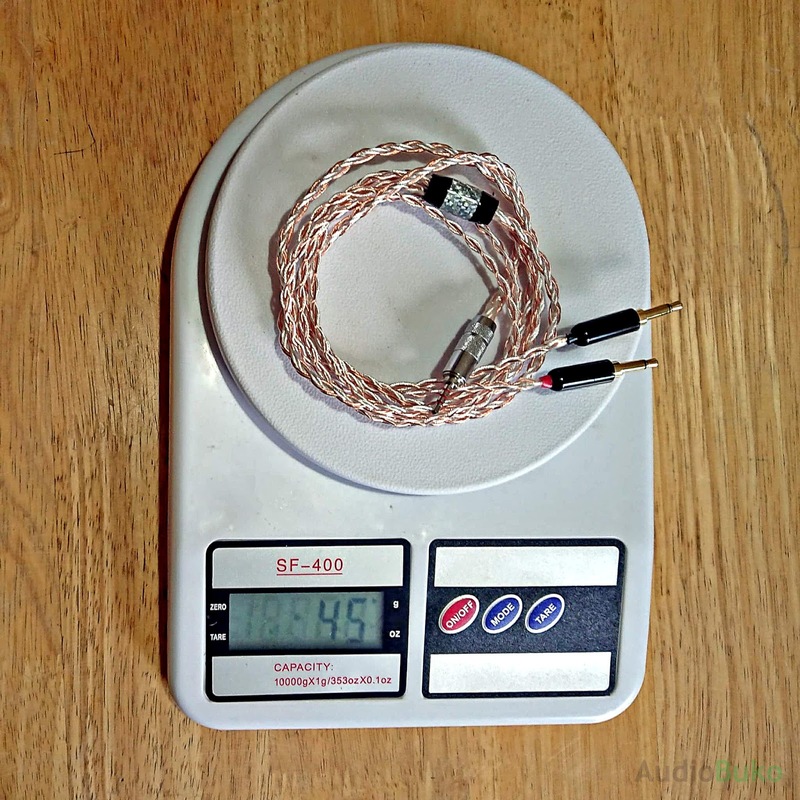 Cable Specs: The hybrid is made of 4 strands of 6N Silver Plated Copper and 4 strands of 6N pure Copper wire, all are at 24AWG thickness and coated in Teflon (PTFE) Insulation. 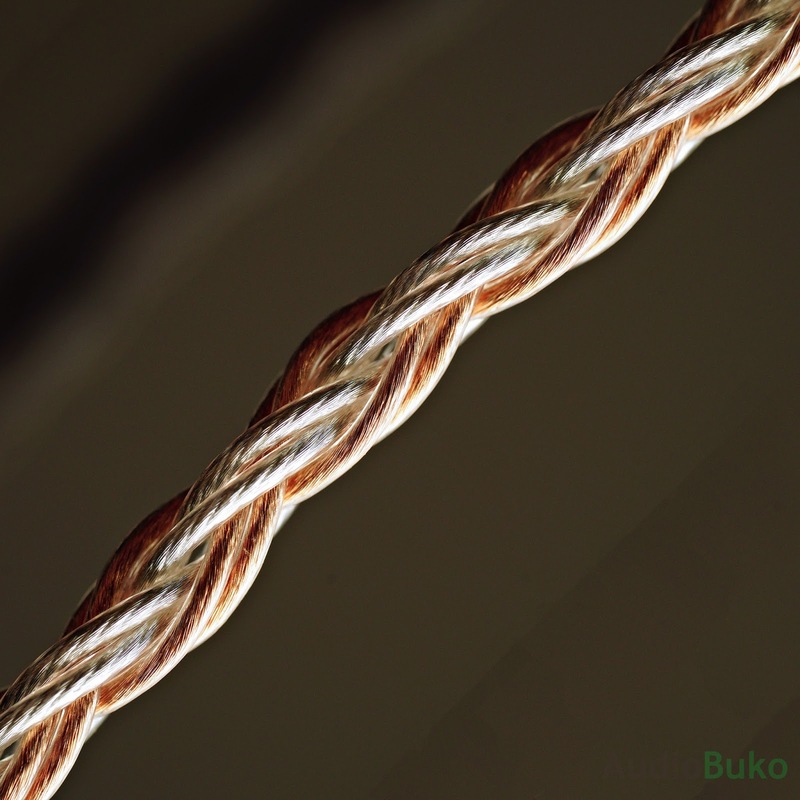 The main braid looks nice and clean with a 2 wire quad braid style that is a little bit tight, the wires are not of the ultra soft variety but it has good flexibility while retaining some rigidity. The coating feels smooth and strong. The braid after the Y-split is the same 4 wire style braid and is a bit looser than the main cable which gives this part of the cable a bit more softness and flexibility. Cable Plugs: The source jack is an Oyaide Palladium plated 2.5mm jack that feels smooth and strong with a good amount of strain relief extending from it's end to it's end. The Y-split is a simple black aluminum barrel with a carbon fiber design, it has strain reliefs as on every wire hole. At the end of the cable is two 3.5mm gold plated mono jacks that fit perfectly in the Elear with a simple red/black shrink wrap jacket on each side to identify left and right plugs. 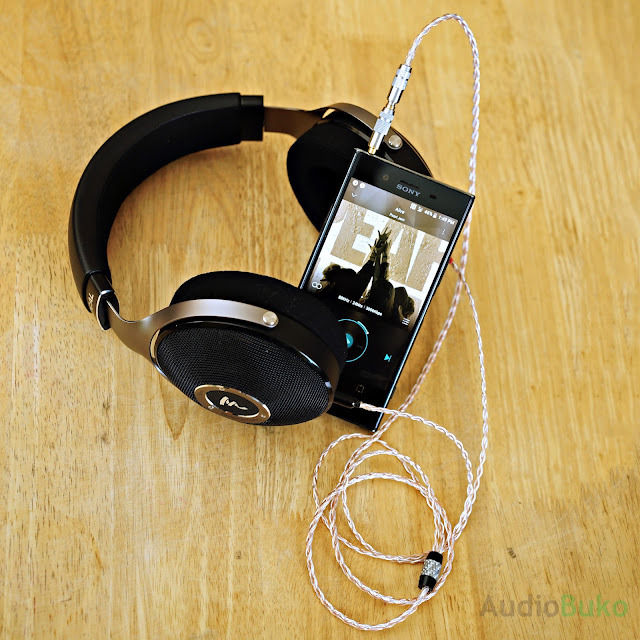 Note that due to the plug design, it does not interact or interfere with the built-in plug lock but at the same time, they are not prone to fall off the headphones, also, there is no chin adjust slider. Overall the build quality is really good, though the 3.5mm jack cover feel a bit standard being made of plastic instead of say something metal based, still, it does feel solid and secure. The cable weighs in at 45 grams, in comparison to my Effect Audio Thor II (4.4mm/MMCX) which weighs in at 24 grams, this is heavier but doesn't feel heavy or awkward in use. Overall cable length (not including the jacks) is 47" or 119.39cm which is good enough to comfortably use with a DAP in my pant's back pocket. 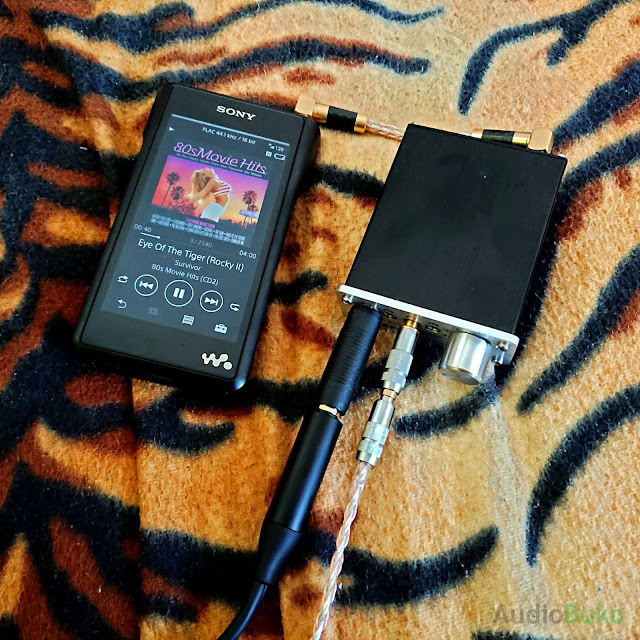 Sound Stuff (compared to stock cable): I realize not everyone believes in cables changing the way you hear music off your head/ear gear, if you're one of those, please skip to the conclusion part. Lows: The sub-bass area gained a bit of depth and quantity while maintaining a good level of control. Decay has slowed a little bit which adds to the level of rumble available which sounds more natural and overall more smooth. The mid-Bass benefits with a little bit more weight in the slam department while each note here is rendered the same as the stock cable. The low area basically benefits with a bit more warmth and smoothness. Mids: The mids gains a fair bit of forwardness and height with the vocals and instruments while gaining a little bit more separation between layers. There is a bit more clarity with the rendered instruments and vocals while maintaining good body and fullness. Control remains the same while male and female vocals have equal bias. Overall vocal and instrument presentation is a bit more bright and gains a bit more energy. Highs: There is a bit more extension and brightness in the highs, with a noticeable improvement in the 5-6khz area where the Elears normally have a dip that sends the instruments in that range a bit further back, with the hybrid cable, there is a rise in that frequency that makes it sound more present without making things sound sibilant or harsh. There is a little bit more air, sparkle and crisp in the highs that adds a little bit of energy in the overall performance that is non fatiguing. Soundstage: There is a natural sounding expansion of the stage with more depth than width, separation and layering have minor gains overall and positioning remains accurate and true. 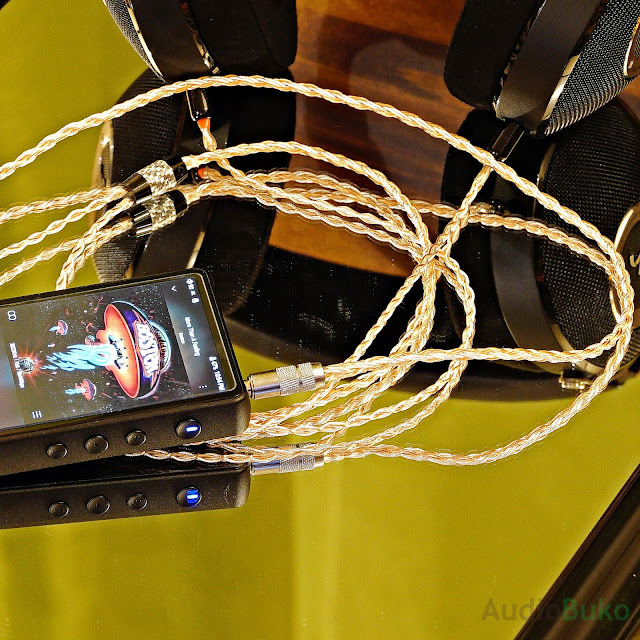 Conclusion: The Stiks Audio custom cable is a nice cable upgrade for those looking to better their audio experience with a good looking cable that is sturdy and functionally superior than the stock cable I had. Audially speaking, there is a tonal shift that makes the connected headgear sound a little bit more warm, revealing and brighter than stock. This being a moderately priced custom cable (₱5,500 or $105 USD) it's a good bargain if you want to make your heavy cabled (in this case Focal Elear) headgear more portable and have the above mentioned positives. 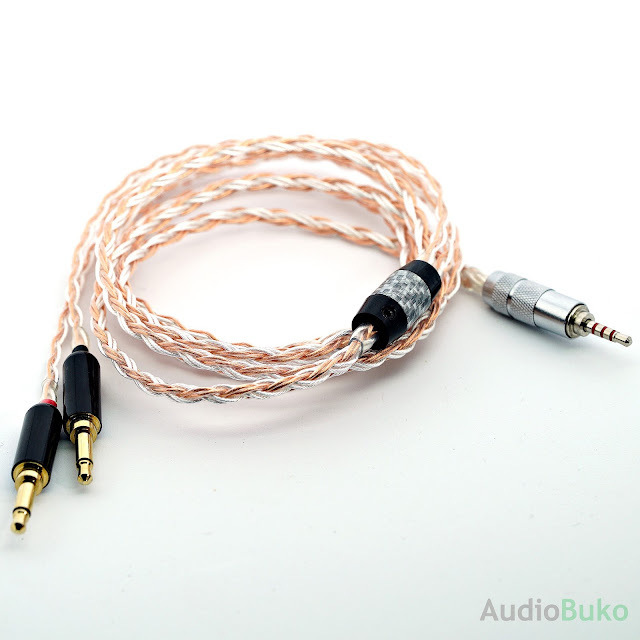 Note: If you wish to maintain the stock cable tone of the Elear, I would suggest that one have an 8 or 4 braid pure copper cable made (as the stock uses pure copper) to at least lighten it for more mobility and (if available) balanced output compatibility.